Birthday parties are only available during non-regular showtime hours. A scheduled party reserves the auditorium for three hours; there will be an additional charge for additional time. A deposit of $80.00 is due at the time you schedule your party. If you cancel your party 72+ hours in advance, your $80.00 deposit will be refunded. 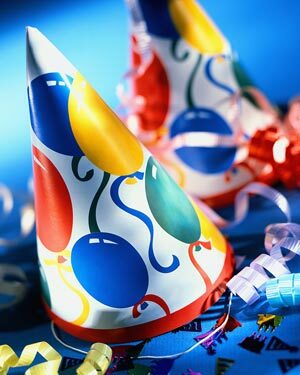 The $80.00 deposit becomes nonrefundable 72 hours prior to the time of your event (birthday party). There is an $80 staffing fee per party. Deposit covers this fee. There is a minimum $110.00 charge for most movie. This will cover the first 20 people at $5.50 per person. Additional persons are $5.50 each. Select movies are not eligible for the $5.50 ticket price ($110 minimum) and require a $150.00 minimum for 20 tickets at $7.50 each. Additional persons are $7.50 each. Plus you will pay the $80.00 staffing fee. There will be a birthday size popcorn and birthday size drink at $2.00 per item ($2.00 popcorn, $2.00 drink). There will be a birthday size popcorn and birthday size drink available at $2 per item. SUMMARY: Most movies currently booked minimums are $190.00 which includes 20 people, the movie, and three hours in an auditorium. Any movie currently playing on your event date is usually available. If you would like to view a movie that is not currently playing, there will be an additional cost if available. Auditorium chairs are available for seating, one table is available upon request. Please bring your own plates, utensils, drink cups, birthday cake and other party goodies. Our concession counter will be open with a birthday popcorn and drink available as well as our full line of regular items. Fill out our party registration form in our theatre. If you have any questions at any point in your party planning process, please do not hesitate to contact Destiny Theatres at 541-296-8021. A manager will be happy to help. Party is finalized after form is complete and $80 deposit is paid.